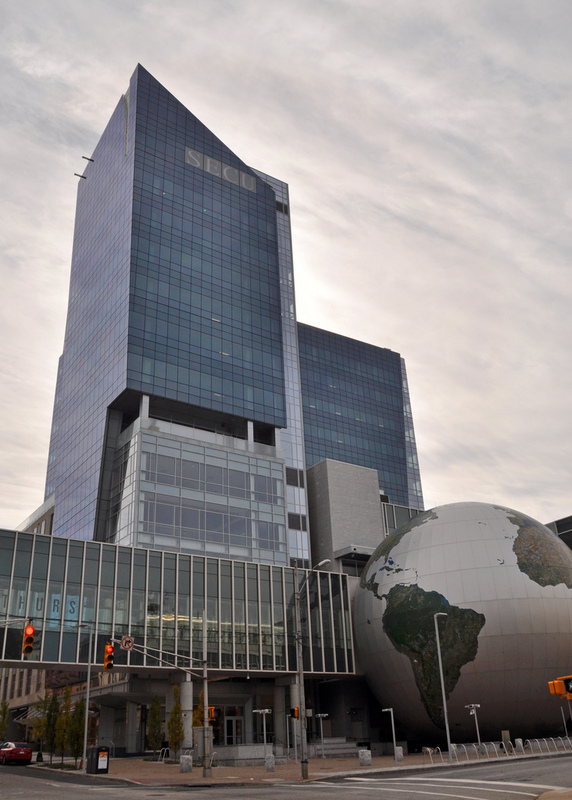 The new headquarters of State Employees Credit Union in Raleigh, N.C. Photo by James Willamor / Creative Commons. Like any football fan and patriotic American, I’ve always been perplexed by why the National Football League and certain other big sports leagues are tax-exempt corporations, organized under a section of the tax code intended for trade associations, professional organizations and local chambers of commerce. The NFL has attracted a lot of criticism over the years for not paying taxes. A recent congressional report found that this tax exemption cost taxpayers $109 million over a decade. I must applaud the NFL for voluntarily deciding to reorganize in a way that will stop abusing the tax code, as the league knew its tax status was an unnecessary distraction from its goal of providing a high-quality football experience for fans. Now that the NFL has neutralized this issue, Congress should take a look at another outrageous tax exemption: the one that allows multibillion-dollar credit unions that function just like taxpaying banks to avoid paying any federal taxes whatsoever. This tax break for a trillion-dollar industry cost taxpayers $20 billion over 10 years. Congress originally gave credit unions a tax exemption because they were intended to serve people of “modest means” who share a meaningful common bond, such as working for the same employer or attending the same church. But for many big credit unions, those days are long past. There are now more than 200 credit unions with more than $1 billion in assets, and those very large credit unions account for nearly two-thirds of the credit union industry’s profits. Credit unions have decided they can dispense with “common bond” restrictions, some of which are already so loose that they include whole states. I have seen countless examples of credit unions advertising that “anyone can join” — using a loophole that allows new members to join an association whose main purpose, by all appearances, is to make people eligible to join a credit union. Call it member-laundering. Even more outrageous are what these big credit unions are doing with their members’ profits (and taxpayers’ foregone revenues). They are buying multimillion-dollar naming rights to stadiums and arenas across the country — sometimes including access to luxury box seats in the deals. The biggest CUs are building elaborate skyscraper headquarters for themselves. Meanwhile, you would think that with a tax break designed specifically to encourage credit unions to serve low- and moderate-income people that credit unions would excel at that mission. But they don’t. Nearly half of credit union members are upper-income. Just 31 percent of credit union customers fall into the low- and moderate-income categories; by contrast, 40 percent of bank customers do. And when it comes to mortgages, a recent study found that in Oregon — a state with several dominant credit unions — just 1 percent of credit union home loans went to low-income borrowers. This lack of focus on low- and moderate-income consumers has been observed throughout the credit union industry. I have no problem with the many credit unions that hew to their original mission, honor their common bond and serve people of modest means with unique financial needs. But like the NFL, the big credit unions that continue to abuse their tax privileges should voluntarily agree to pay. And if they don’t, Congress should insist on it. This article originally appeared in Roll Call on May 11, 2015. 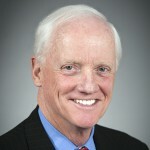 Frank Keating is the president and CEO of ABA. He served as governor of Oklahoma from 1995 to 2003.